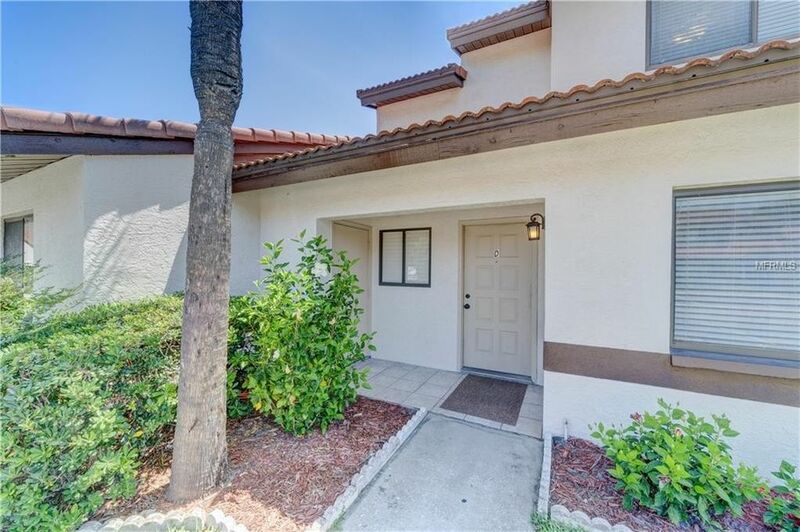 Exquisitely updated townhome in Rosetree Village! This beautiful home boasts appointments including a grand foyer entry with fresh 18x18 tiles, renovated kitchen w/ newer stainless appliances including, refrigerator, flat top range, microwave and dishwasher, updated, paneled cabinetry, newer double sinks, goose neck faucet and breakfast bar, eat in kitchen w/pergo flooring, custom paint and double sliders to the oversized, screened lanai and to the privacy fenced backyard, immense, open and airy family room w/pergo flooring, new paint, custom window treatments and ceiling fan w/light kit, spacious master bedroom w/quad closets, pergo flooring and new lighting, master bathroom w/new cabinetry, granite countertops, double sinks, custom mirror, pearl nickel fixtures and newer floor tiles, 2nd and 3rd guest rooms (1 guest bedroom is downstairs) w/new interior paint, double closets and pergo flooring, downstairs guest bath w/furniture cabinetry, marble countertops and new floor tiles, new gutters, new flat roof, newer hot water heater (2015), new carpet on the stairs and more! Donâ€™t miss this opportunity to make this one yours today!